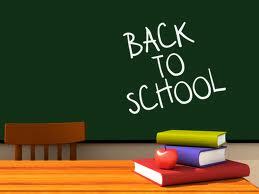 If you read my back to school post you know that our family didn’t do too much this summer in terms of vacations or excursions. We did, however, get to do a few day trips. It’s amazing what you can find to do in a day all within a few hours’ drive; depending on where you live of course. With the age of the internet all the resources are at the tip of your fingers or in the palm of your hand with all the mobile devices. It’s amazing what you can find if you just spend an hour doing a little research. If you live in the West, Sunset Magazine is a great resource for day trips. Every issue has some great features. I live in the San Francisco Bay Area so there is tons to do within three hours in any direction. Living here my whole life I sometimes take things for granted and forget all the exciting places to visit around me. A few weeks ago on a Saturday morning Kerry and I were sitting having our morning coffee and thinking of what we should do. We didn’t have anything going on and didn’t want to just hang around the house all day. We knew the kids would get restless and one, if not both of us, would just end up working. 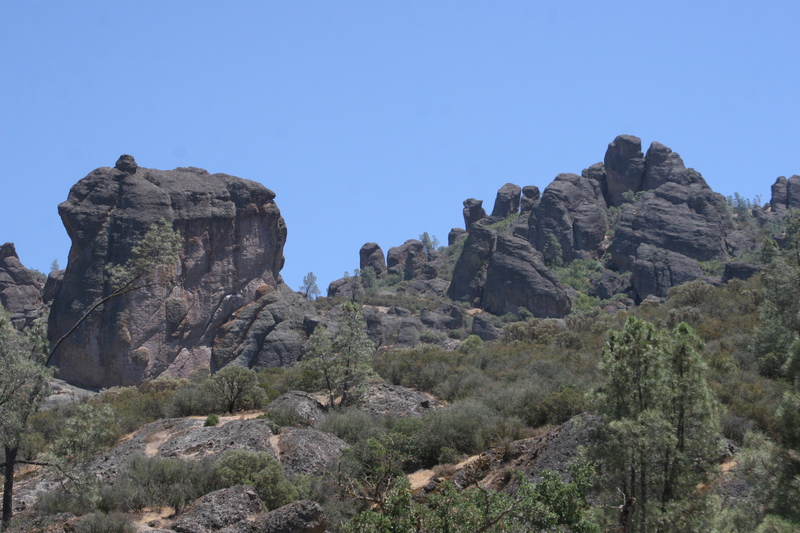 Kerry thought of the Pinnacles; a great park with great hiking and caves. What kid doesn’t like caves. As a matter of fact, President Obama recently made it a national monument. So we got ready and grabbed a friend each for the kids and off we went. What a great day. It was on a weekend so there was a bit of traffic and a lot of people at the park but everyone had a great time. It made me think of few things to pass along for anyone thinking of going for a day trip. 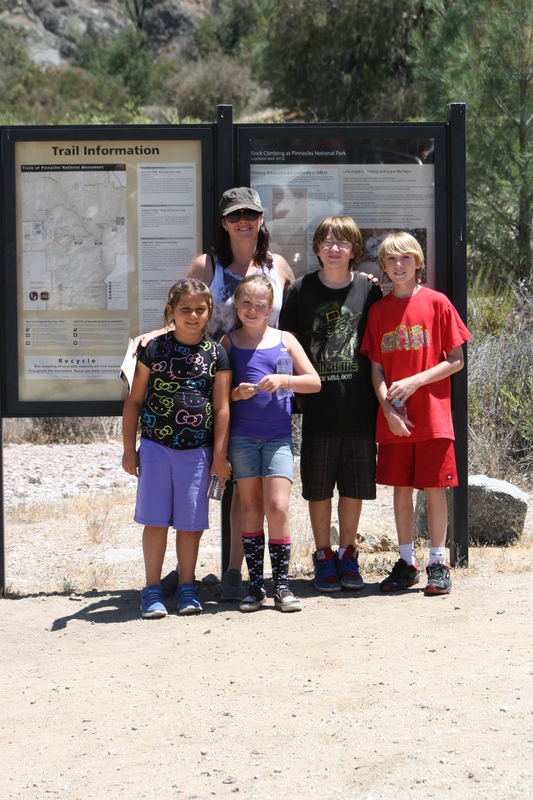 These tips are for hiking but can apply to most day trips. Ok all you experienced day trippers and hikers, I would love to hear about your day trips and tips for them as well as for hiking. What is the difference between the Travelmate and The Mini Travelmate? Travelmate model QRKIDZ. The Mini Travelmate is designed to serve the same purpose as the original; turn your toddler car seat into an airport stroller. Therefore the function of both products are the same. The differences are in the design and how they function. The idea behind the Mini Travelmate is to provide a more compact and economical version of the original Travelmate. To accomplish this the large plastic plate has been eliminated from the Mini and replaced with two smaller cross plates. This reduces the weight of the product and minimizes the amount of raw materials needed for production resulting in a lighter and more eco-friendly product. The two cross plates provide a mounting place or the quick-release ratchet strap that is used to secure the car seat to the Mini Travelmate. In addition, the cross plates provide strength and stability. The other major difference is the Mini Travelmate has a metal support bar that folds down to provide support for the car seat. 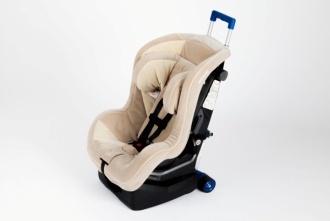 Car seats today are getting bigger and bigger and the support bar is designed to address that. The design modifications’ net result is a lighter more compact and less expensive version of the Travelmate that delivers the same convenience and maneuverability. See our QRKIDZ vs Mini Travelmate comparison chart for more details. Check out our Travelmate Product Comparison Chart to see the differences between all the Travelmate products. Riding the school bus can be a fun and exciting experience for kids who are getting their first taste of independence by making their own way to school. It can also be a dangerous situation for little ones that aren’t aware of the proper safety rules governing school bus transportation. Before walking your youngster down to the bus stop for that first big day of getting to school without being driven by a parent, make sure that she understands these ten safety rules. Good article on bus safety. Choices, choices, choices. No matter what you are shopping for these days you are hit with so many options that it can become overwhelming. I think choosing a baby product makes the process even harder for the simple fact that your baby is involved and everyone wants to make sure their baby is happy and safe. When Kerry and I were researching baby strollers for our first child we were overwhelmed with the different strollers. Not only were there so many different types of strollers but there were so many different brands with what seemed like a million different features, colors, etc. To make it easier we came up with three factors we thought were the most important for us to consider; budget, safety and function. We thought about these and came up with criteria for each category and continued our research. This allowed us to quickly eliminate many of the options out there. These three categories are, of course, not the only ones to consider but they served as a good starting point for us and think they will for you as well. The particular order of each category is defined by your own personal needs and situation. Obviously, safety is an extremely important factor but may not be the first category to filter your search. For example, if you are working with an extremely tight budget then that might be the first step in narrowing your search. There might be a stroller you love and is one of the safest on the market but if you can’t afford it then it’s off the list. So to start, simply prioritize your categories then define your criteria for each. Below are some ideas for the criteria. Budget – this should be pretty easy, just figure out the max you can spend on a stroller. Safety harness. Is it 5-point, adjustable, padded, have a safety release feature? Is it prone to tipping? Some strollers, especially 3-wheeled strollers can tip easily. 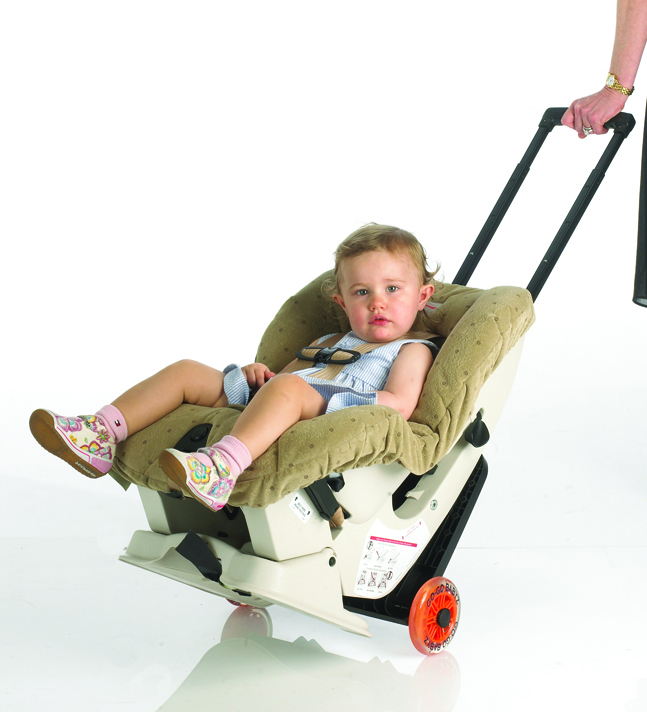 Put some pressure on the exterior points of the stroller with your foot. Does it feel stable or like it might tip over? Is the canopy sufficient enough to protect your baby from the sun? Can the front wheels be locked or do they always swivel? This is definitely not an exhaustive list but it gives you an idea. Will you be jogging with it? If so, make sure you buy one designed specifically for jogging. Will you need to transport it in your car often? If so, you will want one that folds up nice and compact and is easy to put in your car. Will you be taking it on most of your errands? Make sure it handles and maneuvers well and has storage. What style will best serve your needs? An umbrella, 3-wheeled, a double, etc.? As I mentioned this is not an exhaustive list but should help as a starting point. The most important thing to consider is what your needs are in a stroller; What purpose you need it to serve most, what can you afford, what features are must-haves. Just starting with a few categories and some criteria for each you should be able to easily cross many stroller choices off your search list. Once you do a first pass, review and adjust as necessary. In the end we actually ended up with a few different strollers. We just couldn’t find the one stroller that did it all for us. 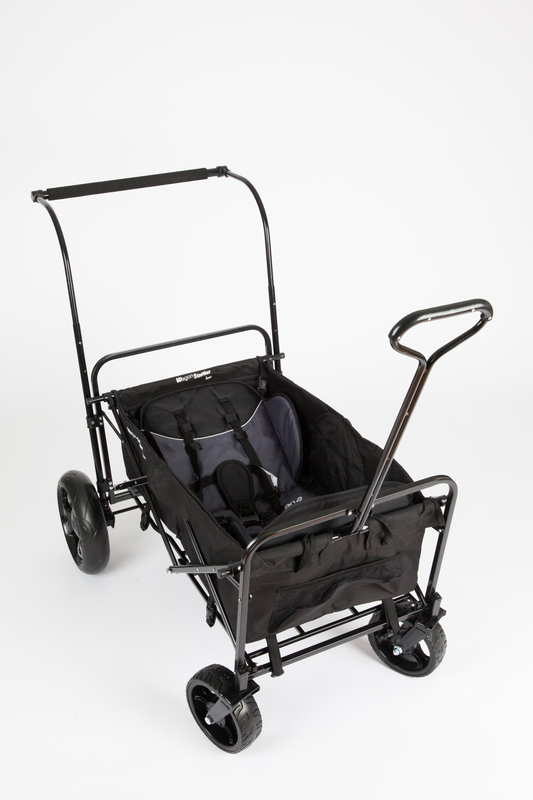 We bought specific strollers to serve specific functions for us whether it was for our everyday stroller, our travel stroller or what we used on our local dirt trails. That is actually one of the reasons we at Go-Go Babyz designed the Travelmate Deluxe & Cruizer and the Wagon Stroller. These products were not designed to be the only stroller a family ever bought. They could be but we designed them to serve specific functions we wanted in a stroller when our kids were younger. Good luck and I hope this helps. And as always, if you have any comments or suggestions we I would love to hear them.